Ligand Pharmaceuticals Incorporated (NASDAQ:LGND) announced on Nov. 21, 2018 that it has entered into a worldwide OmniAb partnership with iMetabolic Biopharma Corporation (iMBP), an early stage biopharma company located in Tempe, AZ. Under the terms of the partnership, iMBP gains access to the full OmniAb platform including OmniRat®, OmniMouse®, OmniFlic® and OmniChicken™ in their drug discovery efforts. Ligand received an up-front license payment and is eligible to receive a tiered royalty on future potential sales of up to 6%. As part of the agreement, Ligand will fund and facilitate selected early antibody discovery activities and will in return receive an ownership position in iMBP. iMetabolic Biopharma Corporation will be responsible for preclinical and clinical development costs and commercialization costs. bispecific, fully human antibodies. OmniChicken™ is the industry’s first human monoclonal antibody technology based on chickens. The four technologies use patented technology, have broad freedom to operate and deliver fully human antibodies with high affinity, specificity, expression, solubility and stability. iMetabolic Biopharma Corporation (iMBP) is an exciting early stage precision medicine biopharma company that is developing a novel therapeutic to treat obesity-related diseases. This includes a spectrum of disorders, but the company has elected to focus initially on hyperlipidemia in the form of Familial Chylomicronemia Syndrome (FCS). Based in Tempe, AZ, iMBP is growing its operations to support the development of its lead candidate molecule. As there is significant unmet need in the development of drugs in this space, and with heart disease remaining the number one cause of death both in the US and globally, it is clear that innovation is required to improve this issue. 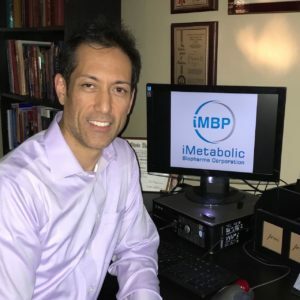 Focusing on a new area of lipid metabolism, the iMBP Corp team and its network of physicians and researchers are poised to move forward ground-breaking science to help improve patient care. Ligand is a biopharmaceutical company focused on developing or acquiring technologies that help pharmaceutical companies discover and develop medicines. Our business model creates value for stockholders by providing a diversified portfolio of biotech and pharmaceutical product revenue streams that are supported by an efficient and low corporate cost structure. Our goal is to offer investors an opportunity to participate in the promise of the biotech industry in a profitable, diversified and lower-risk business than a typical biotech company. Our business model is based on doing what we do best: drug discovery, early-stage drug development, product reformulation and partnering. We partner with other pharmaceutical companies to leverage what they do best (late-stage development, regulatory management and commercialization) to ultimately generate our revenue. Ligand’s Captisol® platform technology is a patent-protected, chemically modified cyclodextrin with a structure designed to optimize the solubility and stability of drugs. OmniAb® is a patent-protected transgenic animal platform used in the discovery of fully human mono- and bispecific therapeutic antibodies. Ligand has established multiple alliances, licenses and other business relationships with the world’s leading pharmaceutical companies including Novartis, Amgen, Merck, Pfizer, Celgene, Gilead, Janssen, Baxter International and Eli Lilly. can be found in Ligand’s prior press releases available at www.ligand.com as well as in Ligand’s public periodic filings with the Securities and Exchange Commission, available at www.sec.gov. Ligand disclaims any intent or obligation to update these forward-looking statements beyond the date of this press release, except as required by law. This caution is made under the safe harbor provisions of the Private Securities Litigation Reform Act of 1995.